Millions of companies around the world depend on social media every day, investing so much time, effort and money into it. Never mind the number of hours we waste scrolling on our newsfeed for personal reasons – don’t lie; we all do it. It’s hard to imagine what we would do without social media. Well, that was until Wednesday, when Facebook and Instagram took us back-in-time when we didn’t have such luxuries for an entire 8 hours. Do we sound dramatic? We mean to be! Ironically, Facebook had to take to its rival, Twitter, to explain what was going on. “We’re aware that some people are currently having trouble accessing the Facebook family of apps. We’re working to resolve the issue as soon as possible,” Facebook tweeted. People took to Twitter to vent their frustration about the problems. The hashtag #FacebookDown and #InstagramDown were trending on Twitter for most of the day. People used the tags to post memes about the outage, speculate about its cause and traded tips on how to survive without the company’s apps. Twitter even made the subject into a Twitter Moment. Some of the 2.3 billion users reported problems on Tuesday evening. 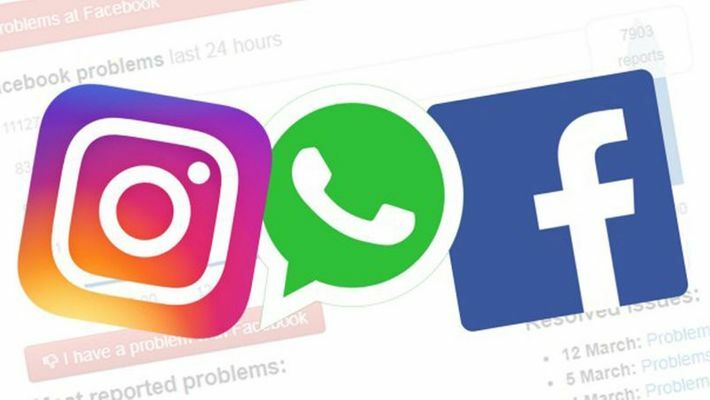 There were also millions of Instagram and WhatsApp users affected, which is also owned by Facebook. The lengthy disruption impacted advertisers across the globe that will have lost large sums of money and potential customers during the disruption. Facebook blamed the massive outage on a server configuration change. The overall learning outcome we can take from all of this is that it is incredibly important to create multi-channel touch points with your audience and do not rely solely on one social media network to sell or advertise your business. Social media is a fantastic tool, with an abundance of benefits, but we don’t own it. We rely on other people, and like we saw earlier this week, it can be taken away from us at any time. What would we do without it? Do you interact on every social media platform? Are you engaging with your followers across all channels? Do you put as much time and effort into your website and email list, as you do your social media accounts? You own your website and email list. You control them, and you will always be able to rely on them. Yes, there might be technical difficulties from time to time with your website host or your email provider, but you will always be able to target your audience directly through these channels. Using the Zymplify platform, you can launch a campaign across multiple channels, from one location. Whether you’re launching your campaign across paid, social or more, you can save time by launching your marketing campaign from one platform — so, no more logging in and out of multiple platforms.